I always enjoy doing my Take 10 Q&As with various authors. This time, I'm really excited for you to get to know Aileen Erin! She was one of the students I mentored when she was attending Seton Hill University for her MFA. And I'm proud to say she has done well with her writing career since graduation (so satisfying for a mentor). 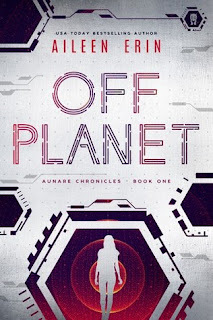 Her latest book is a YA Science Fiction that I had the pleasure of providing feedback for the first 50 pages. Once she finished writing it, she asked me to provide a blurb for her book and I enjoyed it so much I gave her a blurb and invited her to my blog. My blurb: "In this bleak world, one spark of hope soon turns into an inferno. And just like a fireball, once this story is ignited, it just doesn't stop." 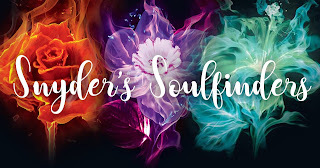 Snyder's Soulfinders is A NEW Facebook Reading Group for my readers! I started it a week ago and it already has almost 800 members! We're discussing all things BOOKS! Mostly my books, but others as well, and the best part is finding other MVS readers to talk to. Introduce Yourself & Name your favorite MVS book: Readers from all over the world have chimed in. Show off your books: So many lovely collections and amazing bookcases! Jealous! How did you discover MVS's books: Lots of crazy recommendations and odd circumstances. Who else writes: Many readers are aspiring novelists. A discussion on Ari & Janco's relationship: Are they more than friends? Ask Maria: A place to ask me questions! Also I'll be posting news about my schedule and books to the group - FIRST! And hosting special contests to win prizes. Doesn't that title sound like a fantasy book? In fact, it's my NEXT book and the start of a new series titled Archives of the Invisible Sword. 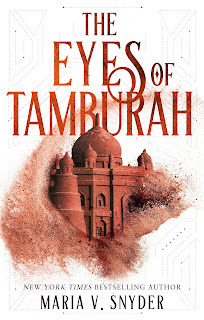 Book 1, The Eyes of Tamburah is coming out on June 17, 2019 in Australia/New Zealand! Isn't the cover fantastic? It's perfect - really perfect. 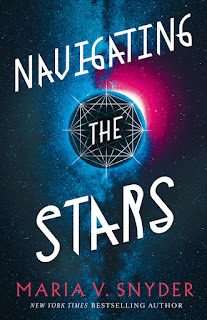 Navigating the Stars Audio Book Giveaway! The audio book for Navigating the Stars is available! Woo Hoo!! To celebrate yet another fantastic job by narrator Gabra Zackman, who has just been nominated for an Audie Award (congratulations, love! ), we're giving away 20 free copies! Unfortunately, I only have codes for the US and the UK so it's limited to my readers who can access Audible in the US and in the UK. See below for the Rafflecopter! 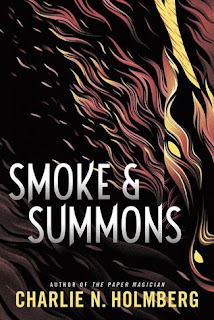 Smoke & Summons Author Interview & Give Away! Last April, Charlie's publisher asked me to read her book, Smoke & Summons for a potential cover quote. Reading books well before they're out is one of the perks of being an author. However, waiting to talk about it and tell all my friends and readers about it has been killing me! Finally, I'm able to share how much I loved this book and loved both Sandis and Rone! Charlie was also kind enough to answer my Take 10 questions. And she is offering a hardcover book and an audio book to two lucky winners in the US only. And I'm offering one paperback book to an international winner. See the Rafflecopter form below! Here's my cover quote: Once this story gets going, the action—Just. Doesn’t. Stop. By the time you reach the end, you’re breathless.